Feiwel & Friends, 9781250057068, 16pp. Early Bird wakes up before the sun. She is hungry. What will she have for breakfast? With language that emphasizes action words, this is a fun story for morning, nighttime, any time. 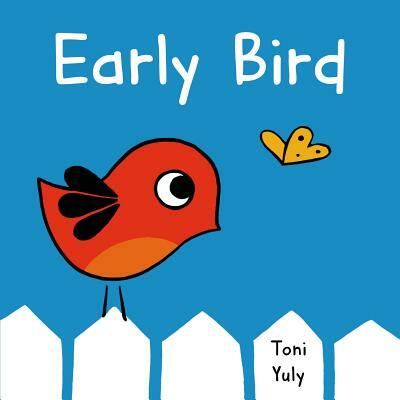 Toni Yuly has been an early bird all her life, and loves to start the day in the studio listening to other early birds sing outside her window. She was born in Seattle and now lives in Bremerton, Washington, in a small house by the water. She studied painting at the University of Washington, where she worked with the great American painter Jacob Lawrence. In addition to making art, Toni works in the King County library system. She is the author and illustrator of Early Bird and Night Owl.